You will find all the Newsfeed posts for 2018 (most recent back to the start of last season) these articles include our club updates, interesting things going on in our community, photos, game results, match reports and memorable mentions, 2018 was a great year for UHHC so have fun browsing! Those on our mailing list would have received an email on the 9th of October about the two important notices for everyone and we need your help with both of them - more details below. Our 2018 Prize Giving for both our Junior and Senior club were big successes! The Juniors were lucky to meet NZ representative players, have a fun game against the adults and have a yummy snack celebrating their great season. The Seniors entered our club rooms decorated in the black and white theme, it looked fantastic and so did the Senior club who came dressed in the theme too! It was a great night and a delicious BBQ. Here is a small selection of the snaps of the night - including our team of the year the R3 Men, the rest can be found on our facebook page here. You can see the Award Winners here (which is posted each year under our Club History). But most importantly a MASSIVE shout out to the people who made each event happen, there is a lot of hard work to pull our prize giving together and their hard work paid off. Our Annual General Meeting (AGM) will be held on 21 November 2018 at 7pm in the Clubrooms at Maidstone Park. Please come along and support current committee members and if you have some spare time consider becoming part of the Committee (you can donate as much or as little time as you have). Like all Clubs we need input from our members - it would be great to see as many of you there as possible. The hockey season may be over for most, but the speedway season is about to begin! The Committee have agreed to run the ticket booths at the speedway again as a fundraiser for the club, and again they've allocated teams to certain weekends. Rebecca Dodds will be co-ordinating this again for the club so if there are any weekends listed below you'd like to volunteer for please let her know. There's a few big weekends this season, and also a couple of championships that will be Friday and Saturday nights - and of course the ever popular demo derbies. For each weekend we usually need 5 to 6 people, 4 people to run the ticket booths and 2 people to click tickets. Gates open at 6pm, so we normally get people there for 5.45pm, and usually people can head away by 7.30pm, 8pm latest. You're welcome to stay and watch the racing for free, and if you have kids to bring along they are also welcome for free (but within reason). Thanks in advance for taking part in this important fundraising exercise - look forward to hearing from people soon! It is finally time to celebrate our awesome season! We have both our Junior and Senior Prize Giving being held this Saturday 29th September. We also are excited because we have representative hockey players coming to see the Juniors! We have NZ Masters player Leah Murphy, Capital NHL Player Rachel Lilley and NZ Black Stick Dane Lett! Seniors, put on your glad rags (as long as they are black and white) and join us for a fun night. Arrive at 7pm to grab your choice of drink before the formal awards. The bar accepts cash and eftpos. We will share a BBQ for dinner at the midway point of the awards ceremony. After the formal part, it is time for dancing and having a laugh. The night will finish up just before midnight and the Committee are organising (fingers crossed) transport to help get people home safe at the end of the night. We can't wait to see everyone and toast to another fantastic season of hockey! Wellington Hockey are organising a number of options for Masters and Summer Hockey if you aren't quite ready to hang up your stickbag and shoes. We've included links below and contact details if you're interested. Years 1/2, 3/4, 5/6 and 7/8. An 8 week league on Tuesdays starting 23 October and finishing 11 December. Looking for as many school teams as possible, but individuals are also welcome to put in teams. Umpires and coaches will be provided for each game. Runs for 8 weeks from mid October to mid December. More details are on the Wellington Hockey Website – click here to visit. For those aged 34+* as at 31 December 2018 Note*: Men's teams can have up to 2 players aged 33+ as at 31 December 2018 Women's teams can have up to 4 players between 30 to 33 years of age as at 31 December 2018. Goalies can be any age. Result: Lost 3-4. The P1 Year 7/8 boys played Tawa in their final for 5th and 6th place this week. There were some moments of great play by Upper Hutt, but Tawa were determined to win, having lost once to Upper Hutt and drawn in our last match. Tawa played a consistent game, particularly in the first half which ended 2/0 to them. Our boys definitely picked up their play in the second half. They were on a great roll the last 10 minutes or so, but in the end ran out of time. Special mention for their efforts this week goes to Zavier, William and Max – great play boys! Goals were scored by Jared (2) and Samuel, with a final score of 4/3 to Tawa. What a great season of growth these boys have had! Thanks to the coaching team Mike Parry, Matt Hardy and Debbie Woolcott and all the supporters who have encouraged the P1 Year 7/8 boys throughout the year. The count down for our annual Prize Giving starts NOW - 2 week to go!! Our P1 Boys finish their hockey season this weekend, playing for 5th place. Even better, their final game is down at our home turf, Maidstone - come and cheer them on. Play hard but play fair! Result: Won 9-0. The Year 7/8 P1 boys enjoyed a 9/0 victory over Harbour Northern Boys this weekend. They played a strong offense with good strategies to support the ball carrier, and accurate passes in evidence. The 9 goals were scored by: Jacob (always a hat-trick) A, Max, Jack H, Jared W, Foy K and Mathew P; but were made possible by excellent, coordinated team play. Result: Won 6-2. Black Magic had a great last game with a win over the highly skilled Chilton St James 6-2. The first half was 1-1 but then the team found its mojo and we managed to break St James defence in the 2nd half. Jamie G had another awesome game with a player of the day performance in the mid field where he was able to help control the play well. Aiden C scored 2 goals, Kyle K 1 goal, Ryan G D 1 goal, and Lucas C 1 goal. It was a very fitting end to a wonderful season with Team Black Magic not losing a game! It has been an absolute pleasure to be involved with this team and they proved what a bright future the club has! Result: Won 14.1. Silverstix played Rata Street School for the last game of the season. It was a decisive win to cap of what's been a great season, with each player growing their skills and teamwork and thoroughly enjoying their games. For this last game, there were some wonderful plays on both sides with the final score 14-1 to Silverstix. Result: Draw 4-4. 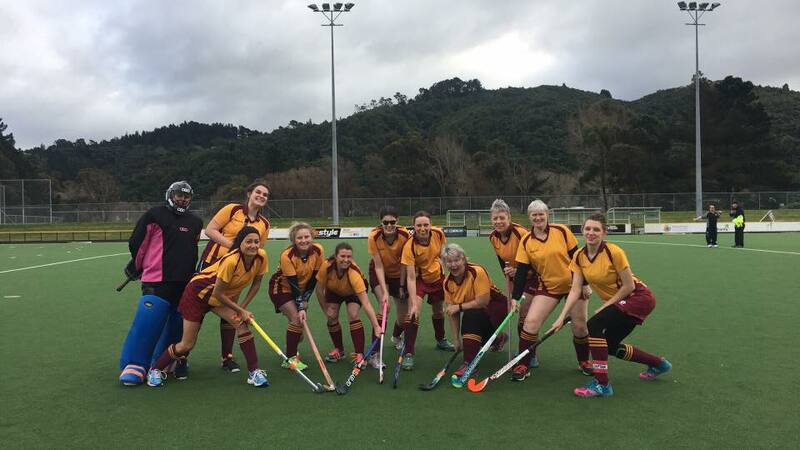 The Super Sticks played their last game of the season against another Upper Hutt team, the Goldstix. Everyone played really well, showing they had made vast improvements since the start of the season. We were leading 3-1 early in the second half, but the Goldstix came back with three goals in quick succession. With just a minute to go, one of our players, Tova, managed to level the score 4-all. It was a fitting result for the last game as there were a few friends across the two teams and everyone came away happy. Result: Won 5-4. This is our last report for the session which is a bit sad really. It has been amazing watching the Mighty Maroons grown in skill and confidence over the session. That all paid off on Saturday when we faced the Hutt Pirates. It was a tough game with strong defense from both sides. A break was made for the goal line and the first goal was scored. This was followed by 4 more goals. The pirates fought hard and scored 4 goals. It was a great team effort with all the players working together with strong defense and attacking skills. The final score was 5-4 to the Mighty Maroons. We'd like to thank all the players for working hard every Saturday morning, the parents for cheering and supporting of all players and getting them there for 8am games and the umpires for everything they do to help the children learn the rules of the game. Thank you to you all. What a finals weekend! Big thank you to all our teams and particularly our supporters! It was amazing to see lots of people coming and cheering our teams on. Massive shout out to all the signs too - such fun! P2 Men: P2 Warriors - Sweet memorable mention for us goes to Timbsy for getting off the donut in the scoring stakes and then owning up to a foul play previously. Champion stuff that. Was a slow starting game but with three quick goals and then a responding goal in the second half Warriors got the win to stay in P2 for next season. P3 Woman: A hard fought final but we couldn’t secure a win. Our never give up attitude was shown again on the field. MM goes to the entire team for a great season. P3.2 Woman: It was a tough season for the P3.2 team this year, with the finale for them being a playoff for 7th and 8th .... and we didn't end up 7th. A hard fought game yet again - as have so many games been this season - so this week's memorable mention really has to go to every team member, as everyone has worked hard and put in some amazing efforts, with a few people struggling with injuries but basically sucking it up and giving it their all. So well done everyone - not the result we hoped for a lot of things learnt over the season. Special mention to our regular super sub Kelly Porter - who was a last minute call up this weekend after already played a game! Good luck for next season! R1 Men: Our last Memorable Mention of the season goes to us, knowing that even though we lost, we left everything on the field and had nothing left to give. Thanks for a great season lads! R2 Woman: R2WomenB – MM - Pulled out the result when it mattered - a 2-0 win on the weekend. A huge thanks to all our team - even those who are still injured - for a great season. It seems we've peaked slightly late this year - could have done with the amazing results we've had in the last two weeks about 6 weeks ago. But it's been a great season filled with heaps of laughs. Thanks to all our 'regulars' you are so reliable and obviously still have great skills which we rely on week after week. And a big thanks to those who filled in for us when we've been short. All in all 10/10 again this year. And overall 4th in our particular grade is a pretty good result. R3 Men: R3M won a close and intense final against YW Petone 2 - 0. Memorable moment: David Marinan's reliable reverse stick relieving the pressure with our first goal of the game. Having defended strongly for the first 20 mins of the game and with YW's first goal disallowed for a high stick, our confidence slowly returned and we began to dominate from there. Of note, YW Petone's 2nd goal was also disallowed as the striker owned up to the ball having hit his foot first, before the goal. YW Petone is renown in our grade for their honesty and have made many such calls throughout the season. Well done to both teams. It was a game worthy of being a final. We only have two weekends of hockey to go, with most teams finishing this weekend, so our Prize Giving events are just around the corner. Both our Junior and Senior Prize Giving is being held on Saturday 29th September. We have an exciting Junior Prize Giving planned with representative hockey players coming to see the Juniors! We have NZ Masters player Leah Murphy, Capital NHL Player Rachel Lilley and NZ Black Stick Dane Lett! This will be followed by food and drinks. Seniors, put your glad rags (as long as they are black and white) and join us for a fun night. We will share a BBQ for dinner and the Committee are organising (fingers crossed) transport to help get people home safe at the end of the night. Our Kwik Sticks (P1 Boys) have their Finals, and last game next weekend (15th September). We really want to get the support crowd at the turf for our teams, head along to games where you can. Remember if you can't be there we will be tweeting as many games as we can, head over to twitter and follow @upperhutthockey or we have a live feed down the right hand side of our website on desktop version. Game times below. The weekends Senior games come and cheer them on. Play hard but play fair! The weekends Junior games come and cheer them on. Play hard but play fair! Result: Won 3-1. Silverstix played Chilton St James, winning 3-1. It was a reasonably close game, we had plenty of scoring shots just wide of the goal and a few shots taken outside the circle that were disallowed. All the kids worked well together with nice passing. Ephraim was player of the day. Result: Lost 3-7. We played another Upper Hutt team the Mighty Maroons and lost 7-3. They had a real sharp shooter in their team which our kids tried hard to defend. We came back stronger in the 2nd half with goals to both Tova and Liam. It was a great game for their 2nd to last match for the season. We had three of our Senior teams with Friendlies this week and three teams playing in Semi Finals. Saturday we had two very exciting matches at our home turf in Maidstone, Upper Hutt and it was an outstanding day of hockey. On Father's Day Sunday our P2 Men fought hard but the game didn't go their way. Congratulations to our Premier Three - Top Woman’s Team and our Reserve Three Men who are both through to their respective Grand Final next week. We also have three teams playing for relegation (7th and 8th). A special mention to our R2B woman who pulled an almighty win out of the bag keeping them from finishing last this season. Check out more details of what happened in Semi Finals play offs weekend below! P3 Woman: Must win game for us to go through to the final. First half was a bit stressful as we couldn’t score any goals but Nic came through with a hatrick (she really wanted those nuggets). Another injury to Sandy from a sweet stick kiss too but all bandaged up and back on the field. Bring on the final next week!! R1 Men: We just had a friendly this week, so we decided to take the opportunity to have a bit of fun. We swapped our goalie Tom with Blair in goal (usually one of our strikers) so that Tom could have a bit of a run around. So our Memorable Mention goes to the whole team for just enjoying ourselves this week. MASSIVE game for us next week and we are ready to bring it. 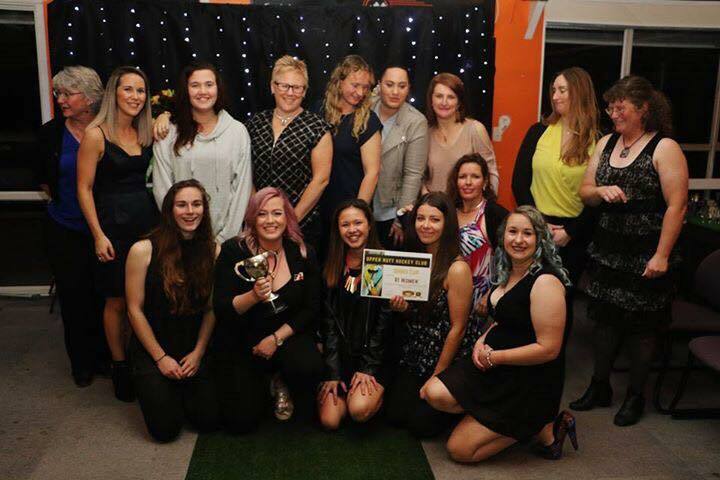 R2 Woman: R2WomenB – Finally a win – 4-3 against Hutt United putting us in the playoffs for 4th or 5th in our B grade or 8/9th – and definitely not last. MM goes to Christine who found some of her form and scored - twice! Great effort team. R3 Men: R3M had a win over Naenae 5 – 3. Memorable moment: Rob Hamlin’s “Hattrick” being disallowed as the umpire believed the stick had rolled during the reverse stick shot and hit the underside of the stick. Unlucky I said or something close to it before being summonsed in front of the umpire. Great game from Daniel Badger who played inside due to Nathaniel Plester being out for the season with a broken finger. Saturday 15th September for Kwik Sticks (P1 Boys) - three more weeks to go. With these teams in Semi Finals it would be fantastic if we can rally up and come and support them, please head along to games where you can. While you are there supporting it would be great to have people take photos and put them up on our Facebook page. Game times below. Result: Lost 0-9. The P1 year 7/8 boys played Hutt United and it was always going to be a tough game against the undefeated Hutt United team. Our aim was to play hard and try to be one of the few teams to score against them. Sadly we didn't manage to score, but the boys should be proud of their efforts and team spirit in the face of an unbeaten and hard playing team. Result: Won 11-1. It was a strong display from all of our team with both of the girls scoring a goal each and Jamie, Ryan and Kyle playing brilliantly as always as well. The season has been a very good one for our team and the kids are functioning perfectly. Now the season is coming to a close we are going to finish the way we started and keep having fun! Goal scorers were- Izzy S-L (1), Sally G (1), Jamie G (an amazing 4), Ryan G-D (an awesome 4), and Kyle K (1). POD went to Spencer S for playing well in all positions. Result: Won 10-0. This weekend Silverstix played Raphael House Purple. Both teams were down a player due to winter illnesses, starting with just 5 aside. So everyone did lots of running round and had to work together. We've had a strong season, with quite a few wins in a row now, and the team continued this form on the weekend, with a decisive 10-0 victory over the Hutt team. Despite the score, Raphael House absolutely kept the pressure on. They are particularly strong in defense, forming a wall around goal that initially was hard to get through. They also had some good runs down the line and narrowly missed scoring. So as we head towards the end of the season Silverstix are in good form and the players have developed a lot, particularly with their team work and passing. Result: Won 13-1. The Super Sticks had a big win yesterday beating Wainuiomata Cyclones 13-1. The goals were shared around the team. We also lent Wainuomata player, as they only had 5 team members turn up due to sickness. Joshua played a great game for them. Whoa! What a weekend! If you weren't down at the games or following some of the games via our twitter feed (live stream to left of the screen on our website - desktop version) you need to check out what happened in Quarter Finals/play offs weekend below! Some really hard fought games and the teams did really well, some results not going the way we hoped but Finals we can get redemption. Shout out to our Reserve Three Mens team who took the win and have secured the space in the Grand Final for 1st and 2nd - well done lads! R1 Men: We had a rough game, our 7th and 8th play off saw us playing Northern United who we previously beat 8-1. This game was a bit different however, and it definitely felt like we were playing 12 players. We can take our learnings from this game and apply it in two weeks and now that I have calmed down our Memorable Mention goes to Archie's goal that brought us back into contention....ahh well bring on Finals in two weeks lads. R2 Woman: R2WomenB – 1-1 draw against Kapiti. Seems we are ending the season on a high with no losses in the last two weeks! A great game with a solid effort by everyone who played holding the 3rd place team to a draw. MM to Kelly Porter who always puts herself on the line and plays a great game – only 4 direct hits this week! Hope the bruises/grazes are ok for this week. R3 Men: R3 Men had a 4-1 win over kapiti send us to the final. Memorable Moment: Harrison Bealing running the ball from well inside our half, tailed by two defenders, around the two fullbacks and keeper to score an outstanding individual goal. Awesome! It is a big weekend for all our teams and we would love for you to come and support our wonderful teams, so head along to games where you can. While you are there supporting it would be great to have people take photos and put them up on our Facebook page. Result: Won 4-0. The P1 year 7/8 boys played Harbour Northern Boys this weekend and came away with a 4/0 win. Jacob A scored a hat-trick of goals and Archie C was excited to achieve his first goal of the season. We saw some great play from the boys this week, with special mention to Rhône H and Tyler H for their defensive efforts, and Bax W-F for his hard work in the striker unit. Result: Won 4-3. Black Magic played a great game in the rain today against Rata Street School. It was a close game but we won 4-3. The team stayed in positions and defended very well. Ryan scored x2 goals, Jamie scored x1 goal, Aiden scored x1 goal. POD went to Kyle for his superb defending. Result: Won 9-1. This weekend the team played Raphael House Gold, who were a little low in numbers so Silverstix were able to lend three players who took turns playing for the other team. Our first few attempts at goal went wide, so our forwards had to work together a bit more strongly to pass and set up the goals so they could get around Raphael House's defense. Raphael House also had some strong technical players who challenged our team for possession and were able to make some runs for the goal. However, again, Silverstix's defense was solid and we were able to successfully defend most attempts. The final score was a win for Silverstix, 9-1. Result: Lost 3-8. The Super Sticks played a gutsy game in the rain this morning, going down 3-8 to Hutt United Raiders. Our team put up a good fight with some early goals but the other team was a lot stronger. We had 2 players of the day. Fletcher for his all over effort in both defence and attack and Ruby for her good marking up and running to the ball. Result: Won 9-1. 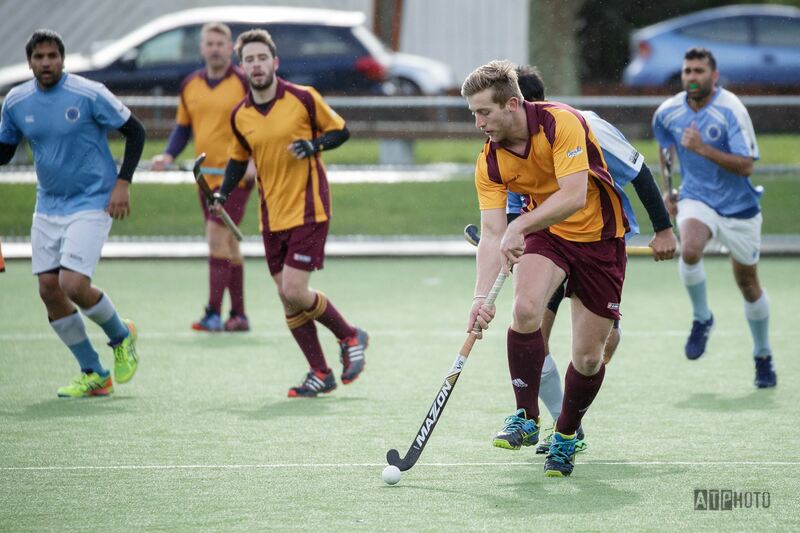 It was a rainy start for the Mighty Maroons as they played Upper Hutt Goldsticks. The Goldsticks were short a player so Keely volunteered to play for them. With both teams set to play the whistle went and the game was underway. Some amazing attacking and defensive play saw 18 minutes with no goals scored. The Mighty Maroons team work saw 2 goals scored in the final 2 minutes before half time. The halftime talk reminded the Mighty Maroons how important it is to work as a team and to use the skills learnt at our last training. The second half whistle went and the Mighty Maroons were off. The forwards powered forward towards the goal backed up by a strong defense line. Goals were scored by Jack (3), Fin (3), and Aurora (2). The final score was 8-1 to the Mighty Maroons. Pod was Keely for fair play and supporting the Goldsticks. P3.2 Woman: Back up to the sunny (but cold!) Kapiti coast again this week for our last round robin game ... while the result wasn't going to affect our position , the Kapiti team needed a bonus point to be in contention for top 4 .... and being the generous people we are .... they got it! Memorable Mention this week to DJ who got smashed in the knee by the ball when running out on a PC, but sucked it up and after a bit of ice on it played out the rest of the game. Good work DJ - hope it's feeling ok now! R1 Men: MM goes to harrison for filling in and amking his mark on the team, he was always attacking the ball and turning around and giving chase if he lost it. It was great to see him not giving up. Good work Harrison! R3 Men: R3 Men had a BYE this weekend, stay tuned for next week! It is the last round of the competition for our Seniors this weekend. Which means that next weekend we start the journey to finals with play offs. We want to make sure that over the next few weeks that we cover our games through tweeting, photos and general awesome UHHC support. So get amongst and get in touch if you can help at all. Result: Won 3-0. Captain Jack H led the P1 year 7/8 boys to a solid and confident 3/0 victory over Northern United this week. The team played effectively as a cohesive unit and payed attention to the advice from their coach to focus on basic skills such as trapping and passing. They did both well and confidently tackled the opposition, holding their positions and marking players appropriately. Well done team! Result: Won 7-2. Black Magic had a nice win today against a good Hutt United LighteningTeam, 7-2. It was a quiet game on the field and at halftime the scores were 1-1 which made for a exciting second half. Once we managed to find our rhythm and start playing like a team we ran away with the deserved win. POD went to Aiden C who scored 2 goals and played well in all positions. Jamie G also scored 3 goals again...Lucas C 1 goal and great passing and Kyle K scoring 1 wonderful goal also. Our team is continuing their great run of form and are a pleasure to watch. Result: Won 14-0. Silverstix played Rata Street School. The team is playing in a nice rhythm now. Many of the goals are coming about because players are pausing, passing, and thinking tactically about their next move. It's really cool to see the team developing their skills and confidence. The score was 14-0 to Silverstix. Rata Street School were very gracious and didn't let it affect their focus or confidence. The game still flowed well with a lot of good defensive play by Rata Street. Result: Won 6-2. UH Super Sticks had a really great 6-2 win against Wainuiomata Dynamites at Maidstone this morning. All of our players contributed to the win by marking up and passing well. A great team effort!! Players of the day were Joshua and Casey. Result: Won 6-0. It was a chilly start to Saturday morning in Upper Hutt so I thought we would be in for a even colder one down at Fraser Park but it was a warm and stunning day! We didn't have a ref so we were very lucky to have Sam & Annie's big sisters help us out. We went out with a bang, the kids played so well together today. Called for the ball and had some fantastic passes. Was very proud of them all. We won 6-0 and POD was Peppa S.
P3.2 Woman: Lovely trip to the sunny Kapiti coast this weekend! Our team played well and spent a lot of time in the opposition circle ...those goals are proving elusive though! A few memorable mentions this week....Karey for being a machine in the half line using her wise head to shut them down, Alice for taking on the goalie (but a little worse for wear as a result!) and Brenna for playing in the completely different position of striker for most of the game and doing a great job! R1 Men: We had a GREAT win this weekend! Our MM goes to Bryan who got a superb goal, recovered a short pass off a PC and flicking it into the goal. R2 Woman: R2WomenB – a scoreboard that doesn’t reflect the game as it was close for 75% - loss 4-1. A great game – Kapiti are always a good team to play and we always enjoy the more social part of the game (after the whistle). MM this week goes to our lovely Emily who made a magnificent save from a PC shot – and managed to damage her hand in the process – thanks Emily. And as always MM to our amazing Goalie Catherine who dove and slid her way about to save some sure hits on goal. R3 Men: R3 Men had a 3-1 win over Kapiti 3 in a top of the table clash. Great game to play in with nothing in it at halftime. We managed to come back from 1 goal down to pull away to secure the points, giving us the psychological edge for the upcoming semi finals. Memorable moment goes to Kos who managed to squeeze the ball under the outcoming goalie to score his first goal of the season. That smile will remain on his face for days to come. Wellington Hockey is looking for volunteers for NHL coming up in September. This is a great event to be a part of and by volunteering, you get to also watch some really high level hockey and be a part of the great atmosphere. Result: Lost 0-5. The P1 boys played Karori this weekend and were well challenged by the strong play of the Karori team. While Upper Hutt didn’t manage any goals against Karori, particularly strong ball skills were demonstrated by Jack H and Samuel F during this game. The Upper Hutt boys agreed that they managed some good passing and team spirit was strong – with special mention to Max de la F for his positive encouragement of his team mates throughout the game. Result: Conceded by Upper Hutt. Result: Won 7-2. Black Magic played Hutt United Thunder and we won 7-2 in what was a really good game to watch. We scored a couple of quick goals at the start and everyone thought it was going to be a big score. Then the Thunder got their rhythm and started to fire back. Black Magic then lifted their game also and it made for great game. We finally had Meagan S able to play because we had a later game and she had a fantastic game and got POD with awesome midfield play both attack and defense and she even scored a goal. Kyle Kalso gave an awesome display of his skills and scored 3 goals so we gave him POD too. Jamie G scored 3 goals again as he always seems to do. The team played in their positions well and were actively looking for passes with is exactly what we wanted to see! Result: Won 5-1. Silverstix played Hutt United Lightening, winning 5-1. The game was very tight to start with, with both sides scoring early. The team themselves swapped a few positions early on which helped with our defense. In the second half, our team played very well. There was great defending/attacking play by all. We must have had about 10 shots on goal in the second half that either missed by centimeters or was stopped by the Hutt team's defense. It was a really good game to watch, and showed how strong the team has become as a unit over the course of the season. Result: Won 7-4. UH Super Sticks played Hutt United Bullets at Fraser Park this morning and won 7-4. Liam scored most of our goals as he hung back waiting for the pass to finish off. All of the Super Sticks played really well, running and making some great blocks and passes. Result: Won 7-0. The Mighty Maroons had an amazing game this week using the skills they learnt at training and working as a team. The teamwork payed off with the Mighty Maroons passing the ball to each other to score goal after goal. Our backs had a fairly quite game keeping their defensive line strong and stopping the ball when it was needed. The forwards were very busy charging up the field. It was a ver exciting game to watch. The umpire even commented on what a great game it was. Final score 7-0 win. POD Aurora H.
P2 Men: P2 Warriors lost 11-5 against Victoria 2. A disheartening result truncated by 3 strokes in the second half to Vic. Memorable Mention goes to Isaac for running his guts out the whole game and scoring a goal inside the first 30 seconds of the game. P3.2 Woman: A late game in town on a Saturday didn't put the ladies off, a hard fought battle where we were robbed of at least an opportunity to score off what should have been a stroke decision however it wasn't meant to be but man we were awesome! Our Goalie Lisa was amazing keeping us in the game. It will come ladies I can feel it in my bones. R2 Woman: R2WB - Hard game this week against YW Petone – just a 1-0 loss. MM goes to our newest player with some striking runs down the sideline – thanks Sarah!!!! R3 Men: The R3M team had a hard fought 2 – 1 win over Naenae. Memorable moment: With 5 minutes to go, Naenae equalise 1-1. Nathaniel Plester grabs the ball for a quick restart. We forge up the left wing side against heavy defence. Nathaniel receives the ball back just over the 23yd line and weaves his way into the circle, draws and beats the keeper and slots the ball home with two minutes to go. It just goes to show where teamwork combined with a little individual brilliance can get you …. E.g. out of tight spots. Well done team. We are lucky that we have loads of games at Maidstone this weekend, both Junior and Senior games - come on down and cheer them on. Game times below. Also our Seniors only have three more games left of the competition round before playoffs!!! Result: Lost 1-6. The year 7/8 P1 boys team played the Indians this week, at the National Hockey Stadium. The Indians team worked the boys hard and full use was made of the field! Whilst the scoreline was against our boys in the end, they fought hard and were thrilled when Dylan Mackey scored a goal. Some excellent defensive play was seen by Jimmy Noyes and Frank Lawton, with special mention to Josh Timbs who played an excellent turn in goal! the team has got a fantastic vibe happening and they are enjoying playing as a team. Result: Won 6-2. The game was fast paced, with both sides initially battling for possession of the ball. But as the game developed Silverstix's strong passing enabled them to get through the Hutt United team's strong defense and win 6-2. Player of the day was awarded to Ephraim. Result: Won 6-0. We played Hutt United Sliders Saturday and had a strong 6-nil win. We lent Hutt United a player for the game as they only had 5. Casey played for them in the first half, and Liam in the second. Our player of day was Johnny for his great tackling and passes. P2 Men: P2 Warriors versus Harbour City. After a brilliant start and leading 2-1 at halftime the Warriors came out flying again in the torrential rain/hail and slotted away a third to be up 3-1 with less than 30 minutes to play. Unfortunately the quick movement and speed of Harbour City along with a PC count of 7-0 meant that they were never out of the game and in the last ten minutes they mounted a mighty comeback to leave us gutted with a 5-3 defeat. Massive effort from the boys against a fantastic side 2nd on the table, lots to take away for next week. Memorable Mention goes to Isaac for the goal that defied physics and went in off a 1-degree angle and was slayed from about 5 meters out. P3.2 Woman: Ok what to say, well it wasn’t our weekend this week but the ladies showed great heart and gave it their all. It may not have gone our way but it could have been worse but our defenders while the score line may not show it played extremely well and with Jo saving a number of goals off the line and Jess put it all out there with a great game. Everyone else did what was asked of them however Naenae are a well drilled team and were better on the day. R1 Men: Our MM goes to the Indians coach for saying to us that we were the only team who they haven't beaten all season!! R2 Woman: R2WB v Hutt United 6 – loss 2-1 but a distinct improvement in form – the only way is up! MM this week to Ang Browne on her return and safely completing the whole game in one piece – great to have her back – just 3 or 4 others and we’ll be back to where we started the season! R3 Men: The R3M had a 4-2 win over Kapiti. Memorable moment: Having lost our 2-0 half time lead, that moment when the forwards connect and start passing and running around the opposition and you realise the tide is thankfully back in our favour. Top effort Daniel, Nathaniel, David, Harrison and Aaron. Welcome back Junior Club, we hope you have had a fun school break and looking forward to playing club hockey again this weekend. Remember we are always wanting to capture our games, so if you take photos or would like to help tweet our games, please get in touch. Check out all our teams weekends schedules below, wrap up warm and come and cheer the teams on. Hope you all a great weekend! WOW what a weekend! We had another successful Club Day Weekend. It was great to see our teams hosting their oppositions and sharing a drink and some food after the game. Thanks to all those that made it possible. Bring on next year! If you weren't following our twitter feed, the results are below along with each teams Memorable Mentions. P3.2 Woman: A much better performance all around by the ladies this week we played as at team ran better lines up front and thought about our free hits and executed an excellent back and around and we stayed in touch for the whole game. Only comment "Robbed and Smoked" LOL. Keep up the great work ladies. R1 Men: The Memorable Mention has to go to Vic who were great at owning up to their own mistakes as the umpire wasn't picking up everything going on. In particular, Vic owned up to goal that came off their leg before the ref awarded a goal. R2 Woman: R2WB loss 5-1 to Wainuiomata. Great game which isn't really reflected in the score. MM to our one arm bandit - Christine (although to be truthful there are a number of them in our team). Lovely to be able to sit down with the friendly ladies from Wainuiomata after the game and catch up - thanks for the Day. R3 Men: R3M had a 3 - 0 win over YW Petone. Memorable Moment: Kerry Scannell delighting Club spectators with a trip, dive, roll, chasing the ball over the sideline as well as a well struck slap hit that scored his first goal of the season. Awesome! Thanks to the committee for a well-run day. Our opposition certainly enjoyed themselves. Club Day Weekend - THIS WEEKEND! We hope you are all aware that it is our annual Club Day/Weekend this weekend and are all excited! This weekend will be jammed packed with UHHC games at our home turf Maidstone. There will be platters of food provided in the clubrooms after games so make sure you come on up after your teams game. Bring a fold up chair and a chilli bin of fizzy drink or water and come and enjoy some great hockey all weekend! We are wanting to capture the weekend, we have people tweeting all the games but if you happen to take photos throughout the weekend, please share them on our club facebook page. As well as our fantastic Club event we have a fun fundrasier on Saturday night (21st) we are hosting a Give-a-keg event thanks to our friends at Panhead. It will be a good night and the bonus is that every pint you buy = mullah to the club! Platters, prizes and whatnot provided. AND like our facebook even says "Just bring that good cash money and your 50 closest pals". Our Juniors are on School Holidays which mean that they have a break from hockey for a few weeks. Our Seniors are hosting our annual Club Day/Weekend event - check it out below. The weeks Senior games come and cheer them on. Play hard but play fair! Junior's are on School Holidays so there is a break from training and games. weekends Junior games come and cheer them on. Play hard but play fair! P2 Men: P2 Warriors: 4-2 to Naenae. After a good first half and leading 2-1 had a few chances slip by in the second to go down 4-2. Still room for improvement as the season goes on and only a few good bits of hockey away from knocking off a few more scalps. Memorable mention for Cameron for running his guts out all game and snaking a goal in the first half. R1 Men: Though we lost against Kapiti, the Memorable Mention goes to the entire team because Kapiti are 2nd on the table and we lost 6-0 last time we played them. We definitely keep improving each week. R2 Woman: MM to Julie McLennan who make her debut in our team this weekend and was awesome!!! R3 Men: Memorable moment: Lost opportunities on the post on two occasions where players swept at the ball and clean missed. It just shows what pressure can do. Well done to Miles Davison (RH) on both defence and attack. Well run. A weekend full of UHHC games at our home turf! Platters of food provided in the clubrooms after games. Bring a fold up chair and a chilli bin of fizzy drink or water and come and enjoy some great hockey all weekend! Following on from our awesome Club Day Weekend, that Saturday night on the 21st we are hosting a Give-a-keg event thanks to our friends at Panhead. A fundraiser and generally jolly time with all your club bros and brosephs. Every pint you buy = mullah to the club! Club teamies and anyone else who loves a good time invited to join us at the clubrooms for a downright good time. All during our annual club weekend too?! UNREAL. Platters, prizes and whatnot provided. Just bring that good cash money and your 50 closest pals. Our Seniors enter the second round of the competition this weekend and our Woman's P3 and P3.2 teams are facing each other this week but due to the P3.2 team availability issues our top team have agreed to play on NEXT Wednesday the 18th at 6.45 pm. This also means we have NO teams playing hockey on Saturday as our R2 woman are playing Sunday this weekend. For the rest of our Seniors weekends schedules keep scrolling down. We will be sending out a 'save the date' event from our Facebook page for our Prize-giving on the 29th September. Please make sure you let us know if you are attending so we can start our planning for a fun filled evening. More details to come as we get closer to the date. Result: Lost 2-3. The P1 year 7/8 boys had a fantastic game against Kapiti this week. The teams were evenly matched and it was an exciting game to watch! Strong passing and ball carriage lead to goals scored by Samuel Forbes and Rhône Haines. Fantastic defensive play was evident, with stand-out defensive strategy demonstrated by Jared Woolcott. The boys’ rapidly developing skill was obvious in this game and we are very proud of their consistently positive attitude. They all reported it was a fun game to play even though the final score was 3/2 to Kapiti. Result: Drew 1-1. Black Magic had a very close game on Saturday against the competitive Hutt Hurricanes. The score was 1 -1. Hutt scored first but then Kyle K scored a fantastic goal with a reverse stick and the scores were locked and they stayed that way for the rest of the game. Black Magic had two opportunities to score however we couldn't quite get the ball in the goal no matter how hard we tried. Ryan G-D played with awesome attacking skills and seemed to be everywhere throughout the whole game, when he was playing defence he hustled for the ball and past it forward to his mid players perfectly. The rain didn't dampen the team’s spirit and Black Magic were unlucky not to win against a very good and competitive team. Lost: Drew 5-5. Silverstix met Hutt United Tornadoes for the second time, playing in pretty tough conditions with rain and wind. Tornadoes took an early lead, helped out by one of Silverstix' players who showed great sportsmanship and stepped in when the Tornadoes were short a player to start, then scored two goals within the first 5 minutes! Silverstix had to battle to get through Tornadoes' tight defense and managed to edge ahead in the second half, but Tornadoes fought back and at full time the score was even - 5-5. Player of the day went to Layton. Result: Won 6-5. UH Super Sticks won 6-5 again Hutt United Blasters. It was a really close game, in blustery conditions. Our team played really well together with some great passing and work. Our goals were scored by Liam, Tova and Fletcher. It was a real team effort but player of the day went to Ruby as she got really stuck in and did some great blocks and passes. P2 Men: P2 Warriors: draw 3-3 against Northern. Gutsy effort from the lads today in torrential 110+km winds and rain pouring down all game. Was a tough game with passing needing to be short or over the top. Some huge efforts from everyone and a big result for the team. Memorable mention has to go to Vaughan though who at 3-3 makes a huge stop off a stroke nonetheless. P3 Woman: A much better game against Hutt United than when we played them last time. Some great passing this week and hunger in the goal circle. MM goes to Eleanor who returned for the first time since breaking her collarbone at the start of the season. R1 Men: We finally won a game! What a game it was. MM goes to Blair for missing an open goal post shot - doh! But more importantly everyone really stepped up and played as a team and we got the win we have been hunting. R2 Woman: We got defaulted to this week - stay tuned for next week. R3 Men: Memorable moment: Being charged by the goalie during a penalty stroke! Thankfully the goal counted so we didn’t have to take it again. Bizarre! Also, a well done to the defensive team (Aaron, Matt, Paul, Harrison and Robert) who kept Karori scoreless. We have another fantastic stellar line up at Maidstone - but this week we have 7 teams playing from 8am. Check out all our teams weekends schedules below, grab a hot chocolate and come and cheer the teams on. Hope you all a lovely weekend! Result: Drew 2-2. The P1 year 7/8 boys played Tawa again this week and their opponents were keen to prove themselves after last week's 2/0 win to Upper Hutt. Both teams played strong positions which made it an exciting game to watch. Tawa scored two goals in the first half and coordinated play in the circle in the second half led to Upper Hutt goals scored by Samuel F and Jacob A. The final result was a two all draw, which the Upper Hutt boys were extremely satisfied with! Spencer S for awesomeness through out the game. This team has had a great season so far and we are looking forward continuing our fantastic run of form. Lost: Won 5-0. Silverstix played Hutt United Hurricanes. It was an intense game, and again Silverstix had to get creative with their plays to edge past the Hutt team's defense, which was very strong. Silverstix showed great determination and teamwork to win the game 5-0. Coach Cameron awarded player of the day to Alex. Result: Lost 4-8. Though the UH Super Sticks lost to the Pirates - Fletcher got 2 goals and Liam got 2 goals. By the sounds of it, it was a tough game but the team did well! Result: Lost 4-6. Another cold 8am start at Fraser Park for the Mighty Maroons this weekend. We started our warm up by practicing some passing drills to help us score goals. We were sort of players and were thankful Tova was able to help us out. The game started and our warm up passing worked a treat. The ball was taking up the sideline passed into the goal circle to the waiting playing resulting in the 1st goal of the game. The Hutt United team fought hard but the back were able to stop the ball passing it out wide. There was a lot of strong passing between both teams both fighting to control the ball. The Mighty Maroons scored another goal which Hutt United replied to with 2 goals before half time. Our halftime talk reminded the Maroons they could dribble the ball and must stop the ball before passing for better ball control. The Maroons were feeling really tired with no subs they played on. Hutt United were gifted 2 goals by the Maroons in the second half and the score was 4 all. There was 2 minutes to go and Hutt United ran away with the ball scoring 2 goals before the final whistle. I am super proud of the Mighty Maroons for never giving up. Even though they were tired in the 2nd half and the sun was in their eyes, they tried their hardest for the full 40 minutes. The final score was 6-4. Player of the Day was Tova, who came to Fraser to help us out (her team was playing at Maidstone) and played and amazing game. P2 Men: P2 Warriors lost 3-1 to Tawa 1. In wet dreary, windy Wellington conditions the boys were a bit slow off the mark in the first half. Big turn around in the second half and stringing more passes together and holding the ball for longer periods of time saw them close the gap. A few errors cost us goals and in the end, we just couldn't claw them back. Memorable Mention goes to all 13 of the guys who turned up and got absolutely drenched but played their guts out nonetheless. P3 Woman: We lost 4-0. It was first place vs second place on the table this weekend. Not the result we wanted but lots of learnings came out of the game. MM goes to Nic this week who subbed on during the first half and came running back to the dugout 20 secs later as she had picked up the wrong stick. P3.2 Woman: The P3.2 women played at home this week against Kapiti. We changed it up a bit this week and it definitely looks very promising, we didn't come away with the win but it was a hard fought game with defenders keeping us in reach throughout the match. Unfortunately our goalie Lisa is going on holiday for 3 weeks but we wish her a great trip and we are excited about Catherine Catherine Gillatt filling in for us and she is ecstatic about coming to training each week. NOT!! R1 Men: Drew 3-3 and it is very nice to not say lost for a change! MM goes to Casey who had to deal with an "interesting" opponent - things got a bit argy-bargy but Casey handled it well. It is a shame that this one opponent felt the need to embellish the event to their mum BUT safe to say that is not what Upper Hutt is about. The rest of Karori were great to play. R2 Woman: Much better game this week - all on board though still strugging with the new grade. 3-1 loss to Wainuiomata. MM goes to Ang Browne who came along despite being sick all week and with a suspected hamstring injury - thanks - it was great to have you there!!! R3 Men: BYE this week - stay tuned for next week. * The date is 29th September 2018. Facebook invites will go out for all events in the near future. We have a stellar Saturday morning line up at Maidstone - 6 teams playing from 8am. Check out all our teams weekends schedules below, grab a hot chocolate and come and cheer the teams on. Wishing you all a great weekend! Result: Won 2-0. Captain Matthew P led the P1 year 7/8 boys to a 2/0 win against Tawa on Saturday. Coordinated team play and strong positioning created opportunities for Jacob A and Matthew P to score in the second half. Result: Won 7-2. Black Magic had a fantastic game against Raphael House Purple on Saturday with another win. 8-1. This week we focused on lots of passing and engaging all of the team, and trying to keep a some structure with defence, mid and attack players and passing between those positions. Sally G scored 2 goals, Aiden C 2 goals, Jamie G 1 goal for our team and 1 goal while playing for Raphael House because they were short, and Lucas C scoring 3 goals. This spread of goals showing that everyone was getting involved which was great. We decided to give two player of the days and they went to Kyle K and Izzy S-L for awesome mid field play by reading the game and giving 110% all game long. This week was our best game of the season and every week we continue to grow our skill sets and understanding of playing as a team! Lost: Won 7-1. Silverstix played Hutt United Tornadoes. The teams were fairly evenly matched, which made for a fast-paced game. The Tornadoes played a great defensive game and it was hard to get the ball past their defense, particularly in the first half. Silverstix kept the pressure on, thought on their feet, and put together some great plays to edge the ball past them. The final score was 7-1 to Silverstix, with player of the day going to William. Result: Lost 2-4. UH Super Sticks lost 4-2 to Hutt United Hurricanes today. The Hutt team was very well organised and the score makes the game seem closer than it was. We had some lovely saves in goal and loads of defensive work to keep the score low. Our points were scored by Tova L and Fletcher C, with player of the day going to Tova for a particularly good save. Happy 8th Birthday to Liam for this week! Result: Won 8-3. The Mighty Maroons had another early start at Maidstone. The temperature was -1 and the turf was white with frost. Dressed in our uniforms accompanied with hats and gloves the Mighty Maroons were ready to play. Our pre game talk saw them hungry for the ball. Dedication by the players saw slipping and sliding around the field, which paid off. By half time, the Mighty Maroons were up 6-1. At half time, hot water bottles and heat packs come out to warm the kids up. The players set up their positions and the second half was under way. Hutt scores two quick goals, which were followed up, by a disallowed goal to the Maroons. They fought back to score two goals before the final whistle. Final score 8-3 to the Mighty Maroons. Special thanks to our umpire Yasmin for stepping up and volunteering to learn how to umpire. Thanks to Kerry for mentoring her. P2 Men: P2 Warriors with a scrappy win 2-1 over Vic 3. Memorable Mention goes to Isaac for his stunner first goal (set up beautifully with a crisp pass from Luke) and his second attempt which flew off the crossbar on the angle. Tight victory and a lot to still work on but great to get a win on the board. P3.2 Woman: A trip up to the sunmy Kapiti Coast this week for the P3.2 team! The team had had some good chats and soul-searching over the week, working out how we can score some goals! And good news - we did! Unfortunately Kapiti scored more than us but hey - we got 2 so that's great! Memorable mention to two players this week who really stepped up their game this week, fought hard and could see they were putting in to practice all the things we'd talked about - so good job Katie Tortise and Jenna Robson! Actually - the whole team were fighting hard and working much better together - there were lots of leading runs and lots of passes being strung together. Good work team - keep it up! R1 Men: MM goes to Rhys who saved a dragflick from Northern United off their first PC - it was awesome! R3 Men: The R3 Men had a 4-2 win over Kapiti who are currently leading the league table. Memorable moment: The noticeable change in tempo and teamwork when the team got their nose in front at 2-1 and realised we could win the game against the table leaders. Our transition from attack to defence improves with every game and was instrumental in our success. Check out this weekends schedules for both Junior and Senior teams below - have a great weekend everyone! Result: Lost 0-6. The P1 year 7/8 boys played top of the table: Hutt United, at Fraser Park yesterday. Some strong defence lead to a 6/0 win to Hutt United. While this might not sound like a fabulous outcome, Hutt United is undefeated this year - with no points scored against them and this is the lowest scoring win they have had so far. Stand out play from Jared W, Archie C and Matthew P, which helped secure this relatively narrow defeat. Despite the challenging game, the entire team kept their composure and battled on to the end. Result: Won 7-2. 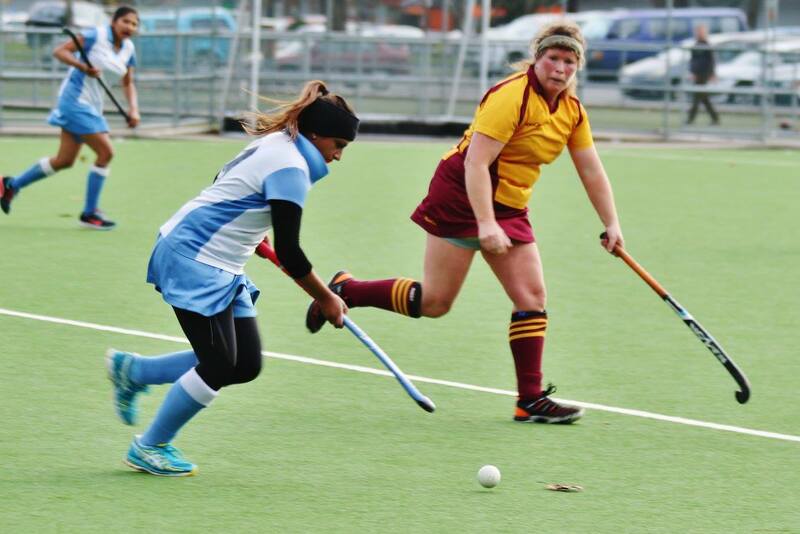 Black Magic had a win against the Upper Hutt Silverstix on Saturday, 7 - 2. It was good to play another Upper Hutt Team and it was a great contest. Black Magic had a slow first half but then came alive in the second half. There was some really good hockey played by both teams with Jamie G, Ryan G-D and Lucas C scoring goals for Black Magic, with Jamie scoring 5 goals. The POD went to Sally G for awesome midfield play. Lost: 2-7. Today saw a battle between the two year 5/6 development teams. It was a real test of the players' focus as they were against friends and team mates, but they rose to the occasion and kept the pressure on the other team the whole game. Black Magic prevailed, winning 7-2. Coach Cameron awarded player of the day to Liam, and highlighted his strong defense and good technical skills to regain control of the ball when Black Magic players ran the ball down the field several times. Silverstix took some good learning away from the game, in particular where to focus their defensive strategies next game, and to continue to build on their solid passing and teamwork. Result: Won 6-0. The Upper Hutt Super Sticks played Rata St School yesterday and won 6-nil. The kids played really well with four goals scored by Fletcher C and two by Tova L. Rata St were down two players so we loaned them a player for each half with Casey T and Ruby M filling those spots. Our POD was Johnny S for his great defensive and attacking work. P3 Woman: Saturday's day was a bit of a grudge match as we were playing Kapiti 3 which has a couple of members from our team from last year who have recently moved out to Kapiti. Kapiti scored the first goal very early on with us equalising in the first half. The second half was a lot better for our goal scoring with us scoring 3 goals which gave us the bragging rights to our very great Kapiti mates. MM goes to Jane (me) this week for coming on as a striker (first time in many years ) in the second half and scoring a goal in the first few moments as a striker. P3.2 Woman: Well, the P3.2 team were a bit depleted this week with 3 players unavailable and one returning from injury.... so bring in our super sub Kelly Porter (thanks yet again Kels! ), and new super sub Grace Boykett! Thanks Kelly and Gracy for stepping in. Don't want to mention the result - but our memorable mention has to go to Georgia Stunnell who soldiered on with a cracked rib! R3 Men: R3 men had a good gritty win prevailing 3 nil over Naenae. This was our first clean sheet of the season, so a big shout out to the unsung heroes at the back. We hope everyone had a chance to see the news feed update from Monday, we just wanted to thank our Junior team contributors who are starting to provide us a little snippet from the games. It is really great to see more coverage for our Junior teamies, it shows what our club values are all about. Result: Won 2-1. The P1 Year 7/8 boys coach, Mike Parry, let his team know he was expecting to see some confident play on the turf today, and the boys responded accordingly! Good defensive strategies combined with some tight passing helped carry Upper Hutt to a 2-1 win against Northern United. Both Captain Jacob A scored impressive goals and Tyler H. Joshua T’s strong goal keeping held a number of opposition goal attempts at bay and the whole team kept the pressure on their opponents throughout the game. While the result was excellent, the boy’s positive attitudes, commitment to fair play and developing team strategy were also impressive. Result: Won 8-4. We introduced a new subbing structure this week which worked well and it allowed every player to play in every position as the game progressed. Chilton are a good slide but Black Magic had a fantastic game and in the end, we won comfortably. Jamie G had an outstanding game and scored 6 goals (yes 6) even though he was only attack for a part of the game, meaning he would of scored more if we kept him in that position. He played with amazing ball control and good drive to get goals. Lucas C O'Dl and Lucas C also scored a goal each with Lucas C O'D and Jamie getting POD. Awesome Team effort again. Won: 12-0. Silverstix played Rata Street School, winning 12-0. The team is really starting to gel, with some great passing and solid defense. Felix was POD today, and coach Cameron highlighted how several times Felix made the call to pass the ball back to a team-mate rather than taking the shot at goal himself - displaying great sportsmanship. Moments like this appeared through the game, with everyone playing their part in the overall outcome. Rata Street School were unlucky, as they had lots of attempts at goals, but they showed great teamwork and kept the pressure on Silverstix the whole game. Result: Won 7-5. The Mighty Maroons faced Hutt pirates this week. We’d been told they were a really strong team. After a team talk before the game the Mighty Maroons decided they wanted the ball. It was a close fought first half that saw some great passing and defending. After halftime and another team talk the Mighty Maroons ran away with the game. The backs held their ground defending every ball and the forwards pushed further and further towards the goal. Final score was 7-5. POD: was Grace M.
P2 Men: P2 Warriors lost 7-3. Memorable mention is this photo for the lads memorable dinner at China City in the Queens birthday weekend. P3.2 Woman: Well it was always going to be tough this week as we were up against the top of the table Naenae this week. Fair to say they are a quality side who deserve their top of the table position. All credit to our girls who gave it their all and finished the game with their heads held high albeit red faced from all the hard work they had done. It could have been much worse if our goalie Lisa hadn’t managed to save so many shots! And thanks also to our super-sub Kelly Porter - who got smashed in the hand with the ball at our game, she's tough tho so was all good to play for the R2 girls the next day! R1 Men: MM to Tom's goal keeping which was outstanding and kept the score line as close as it was. R3 Men: The R3M team had a 7-3 win over Kapiti. Memorable Moment: Daniel Badger’s persistent pressure on the opposition throughout the game which lead to multiple turnovers and breakaways and him scoring his first goal of the season. He clocked a quite a few Kms in this effort. Awesome! Soooo if you are around pop down and cheer them on. There are mixed emotions about this but we are sure that the break will have everyone refreshed and rearing to go next weekend. Result: Won 6-0. We had a slow first half with only one goal due to good defence from Raphael House but then the second half came alive with 5 goals. Three goals were scored by POD: Aiden C, Ryan G-D scored two goals and Lucas C O'D scoring a goal also. Another great all round performance from the team. P3.2 Woman: The P3.2 team played Hutt United this week and the big focus was for our forwards to work their butts off this week to set up defensive screens - and by amount of puffing they were all doing when they came off we could tell they were working hard! It paid off too and was great to see the team working more and more as a unit both defensively and attacking. This was highlighted when our right half Emilee drove the ball up the field, the gap opened up for her to drill it in to the circle for a nice deflection off Georgia's stick - perfect! Unfortunately we couldn't get another one in, so the game ended in a draw - but a well fought game yet again. R1 Men: MM to Jase because of his goal off a PC. The first PC shot was saved but unfortunately for the other team went straight back to Jase who then scored! R2 Woman: R2W - 1-0 loss in a hard fought game against Karori. MM to our Honourable President who could have drawn the game with a stroke …… good try and only just missed the goal! R3 Men: R3M had a 3 -5 loss to YW Petone. Memorable moment: Rob Hamlin, seeing the keeper coming out, having the presence of mind to stop and flick the ball to the back of the net, putting us momentarily back in the game. We have a great day of hockey scheduled down at our home turf, Madistone. 8am the first whistle goes to start off EIGHT Upper Hutt teams playing at home on Saturday. Our Juniors are playing early in the morning and then all three of our woman's teams playing back to back from 11.15am, so come down and cheer them on! Result: Won 8-0. Team Black Magic had another convincing win today against Raphael House Gold. The team's passing was excellent with good positioning and stick control. They are already communicating well and calling for the ball. Ryan G-D had a fantastic game with 1 goal and getting POD. Lucas C and Jamie G scored 3 goals each and Kyle K scored a great goal also. The first time in club history we have two teams playing in the same grade in Premier 3. Our two P3 ladies teams battled it out on Saturday. There were a few unfortunte injuries and we hope everyone heals well! Here is a lovely photo taken by Susan Hanaray of our two teams - post match (hence the red faces). P3 Woman: This week we play our other Upper Hutt team. I think this is the first time we have had two women's teams in the same grade. Great effort from the team this week. MM goes to Anastasia (Bob) for coming into a tackle from behind and getting hit int eh face with the stick. Another trip to a&e for one of our team mates. Luckily no stitches and hopefully only out for one game. We have already used all our ice packs this season!!!! Need to get more. P3.2 Woman: Memorable mention this week to the entire team for wearing our 'alternate' strip due to us playing the other Upper Hutt team in an historic match this week - first time we've had two Upper Hutt women's teams in the same grade and have to play each other! Fair to say it wasn't a popular choice but they all got on with it - although it was a tad confusing. Special mention to Jenna Robson who thought her bright red socks went well with her aqua shoes! R1 Men: Memorable Mention to Craig - for his goal line save with 2 defenders on him. R2 Woman: MM – good game – always hard with new players but everyone stepped up – just couldn’t get it past the Goalie. Big thanks to Shane and Brenna who reffed both ends. R3 Men: The R3 Men had a tight game against a young and very good Tawa side, eventually coming out winners at 2 – 1. Memorable Moment: The Defensive team working as a single unit. Special mention to Robert Roos (FB) running forward and turning 50/50 balls into “thanks Tawa” and late in the game, Paul de Haan (LH) guiding a Tawa shot at goal from a foot inside the post to outside the post. Outstanding defence. Our R2 Woman are playing Sunday this weekend, with the merge of R2 and R3 it means that games were moved to Saturday. Our R2 woman would prefer to play Sunday so luckily for us some teams are happy to play on Sunday when they face Upper Hutt. Captial Hockey (WHA) have pulled together a pool of resources that are aimed at Junior Hockey, including: rules, drills, coaching and tools for parents. We have collated them on our website for easy access for our hockey community and can be found here - Junior Resources . For future reference this link is found on our home page under "Useful Links" along the top menu. Lots of the resoucres available will be helpful for everyone, not just junior hockey - so go check it out and see what you may learn. P3 Woman: We drew 3-3. Not our best game this week. Didn't seem to gel very well and it showed in the score. MM goes to Lucy who had a great game. Carried the ball well, great intercepts and was always available. P3.2 Woman: Well the P3.2 team fought hard again this week, the 5-1 scoreline doesn't really reflect the run of the game. Memorable mention to Lisa Malones in goal who worked hard and made a lot of saves! Unmemorable mention goes to the bloody traffic to get to NHS .... what a pain! R1 Men: Memorable Mention to Craig - finaly getting his drag flick top right corner. R3 Woman: Memorable Mention must go to our team who managed to hold Vic to a 2-0 loss – first game in R2 a success. 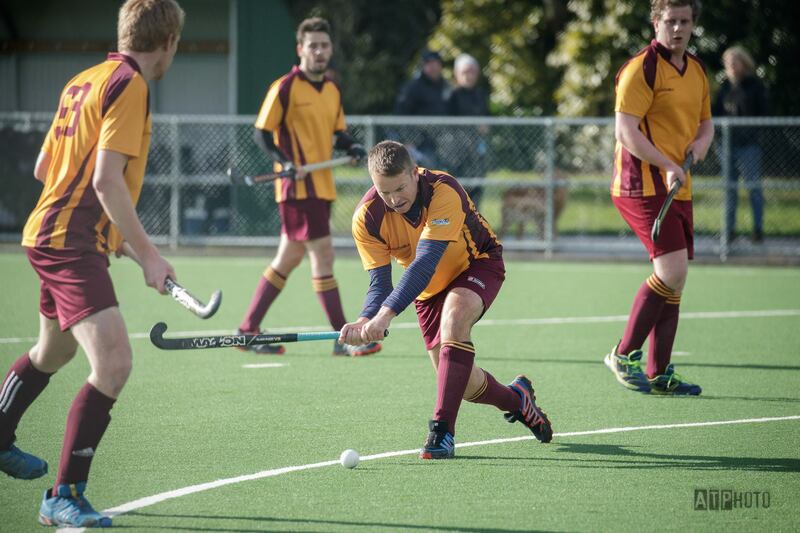 R3 Men: R3M had a 5 – 2 win against Karori being 2 all at half time. Memorable Moment: A short inspirational team talk from Tony de Barr towards the end of the 1st half that almost instantly led to a goal and certainly a change in momentum in the game. ALL JUNIOR HOCKEY STARTS THIS WEEKEND - finally! We are amped for the Junior season to be underway. Good luck to all our Juniors. Now that the grading rounds are complete, our Seniors head into their first game of the Open Grade Club Competition Round One (everyone will play each team twice, with two rounds) with all our Upper Hutt Teams staying in the respective grades - great start to the season! On the weekend our Seniors played their placing matches for the round robin. Big shout out to our teams, who all did really well. The great news is that all our teams stay in their respective grades. Our top woman's team did play for 1st and 2nd but unfortunately the game didn't go their way this time. Watch this space though; we are confident we will see them again in the finals this year. The results and Memorable Mentions are below. P2 Men: P2 Warriors had a loss 2-1 against Tawa. Memorable Mention goes to Nick for stepping up and taking on the centre half role in the second half. Bit more running than he's used to up front! P3 Woman: We played Naenae this week for 1st vs 2nd place and the winner would play the bottom of P2 to try to go up a grade to P2. Unfortunately, we could not come away with the win so we will remain in P3, with a seeding of second in the grade. Memorable Mentions goes to Ashley - our goalie, for the complete brain explosion in the second half that allowed Naenae to score the third goal. Wouldn't have changed the outcome of the game and was hilarious to watch! R1 Men: Memorable Mention to Luke passing the ball down the line to Blair who beat the keeper and scored an open goal with an injured wrist. A SECOND Memorable Mention as voted by the team: when Mike W and Blaire ran into each other and had a brief hug in between play. R3 Woman: Great game on the weekend – most of it with only 10 players and then the last quarter with only 9 – great strategic game and an honourable 3-1 loss. Memorable Mentions goes to Nicky White who managed to break her wrist (seems to be a bit of a UHHC injury). R3 Men: Memorable Moment: David Marinan dribbling and running the ball around and through the opposition Defence creating havoc for them and opportunities for us. Unfortunately, not all his layoffs in the circle were converted into goals. (some) JUNIOR HOCKEY STARTS THIS WEEKEND! We are so excited BUT unfortunately our P1 Boys have a BYE to kick off the season, so all our Juniors will start next weekend. Our teams love and need your support, so check out the games below, and come and cheer on our teams. Rememeber we are keen to get our Upper Hutt Hockey community to help capture games, either through photos or tweeting our games. Please get in contact if you are interested in helping out, its easy to learn and a bit of fun. We will be putting in our first Hoodie order of the year on Friday 4 May 2018 and another one on 28 May 18. Our Seniors have now completed their crossover matches, next week is our placing round. This will see SOME of our teams playing for 1st or 2nd and 7th or 8th. Depending on the results we could see our teams playing off to go up or down in their grades, exciting times to come! The results and Memorable Mentions are below. P2 Men: 4-0 win for the Upper Hutt P2 Warriors. Memorable Mention goes to Ben Duncan. After being hounded to get his stick down to trap the ball he gets it done and slots away the final goal with a diving effort and a fantastic way to dispose of Karori. P3 Woman: First cross over game for the grading round and another injury! Poor Eleanor broke her clavicle (collarbone) during the first half of the game and Georgia took a ball to the head with 3 minutes to go... We now have three out with injury with one of those players back in a couple of weeks. Great win from the ladies with four awesome goals scored in the first half which gave us a good buffer going into the second half which was needed as we had no subs for the second half. P3.2 Woman: Tough game this weekend for the P3.2 women - a few players out and a must win to stay in the grade game! It was a hard fought game but with a nil all final scoreline and a result needed it was straight to strokes! Memorable Mention this week has to go to the five that stood up to take the strokes - isn't always the easiest things to do if you've not done them before so well done to DJ, Alice, Gabby, Jess and Emilee who did just that .... and did it well enough that we came away with the win! Well done ladies! R1 Men: Memorable Mention to Bryce's great goal - despite his busted foot! R3 Men: R3 Men had a 5 – 1 loss to Kapiti. Memorable Moment – Nathaniel Plester jumping with stick at shoulder height at a ball flicked over the keeper and almost (but not quite) deflecting it over the top. Great commitment as an inside to get back and defend. We head into round four of the grading games, it is the crossover weekend and the games need a result. The teams love support so check out the games below and come and cheer on our teams. We are keen to get our Upper Hutt Hockey community to help capture games, either through photos or tweeting our games. Please get in contact if you are interested in helping out, its easy to learn and a bit of fun. We start off our fundraising for the season with our Seniors selling chocolate. We are selling Whittakers chocolate, $2 a bar. We will do a variety of things to fundraise this year, fundraising is a vital part of keeping our club running; providing us new gear, helping to go toward WHA fees and most importantly keeping our subs down for our players. Hockey, though one of the best sports, is an expensive sport to play and maintain - so every litte bit helps. We encourage everyone to get involved where they can. Stay tuned for other events throughout the season. The last of the round Round Robin games are finished, which means next weekend some of our teams are playing their cross over match (round 4), the result of these could see teams playing off to stay in the grade or go up in the next few weeks - stay tuned! Check out the results and the Memorable Mentions below. P2 Men: Memorable Mention goes Paul Hamlin on fire from the penalty corners with two top class drag flicks. The power and pin point accuracy make this an unstoppable weapon we are glad to own. P3 Woman: Our game was all about the twofer!! Three players got two goals each. MM goes to Tammy for her two random goals. First goals she got in was from the back line and the goalie left it as she thought it was going out and just went straight across the goal and into the far corner. Just goes to show that he goalie should never leave the ball even if they think it is going out. Goalie 101!! And the second goal was a scoop over the goalies head. Great to watch. P3.2 Woman: P3.2 women travelled to Kapiti this week for a showdown against a couple of ex-Upper Hutt players. Result didn't go our way but memorable mention this week to all the defensive players - there could have been a lot more goals scored than there were and particular mention to Jo Boykett who put her body on the line numerous times and to DJ for being super speedy on defensive PCs and shutting them down! R1 Men: Memorable Mention to Tom, saving an almost certain goal, diving from one side of the gial to the other after saving another shot! R3 Woman: Memorable Mention this week for R3W goes to Kelly Porter who ran her little legs off and scored our only goal – thanks! R3 Men: The R3 Men’s game was a closely fought affair against YW-Petone that ended with a 4-3 win in the last 5 minutes of the game. Memorable Moment – Robert Roos (our keeper) writhing around on the ground seeing off countless attacks just short of the line. Great effort that gave us the best result. Happy Thursday everyone, we hope our Juniors (and their families) are enjoing the school holidays - the count down is on for Junior Hockey to start. Junior Training times can be found here. For KWIK stick players please check out Wellington Hockey Association (WHA) U13 Development Programme below, this is for ALL players, a really great opportunity and we don't want anyone missing out! Round three of the grading games are upon us, have a look at the Upper Hutt Senior games and come along and support our teams. The U13 Development Programme has been running for a number of years. The programme enables Wellington Hockey to develop a significant number of players prior to the representative season. In 2018 Wellington Hockey will continue with changes based on community feedback from last year to improve the organisation of this programme and offer the programme to further individuals. • The programme in 2018 will be coached by small sticks competition coaches, assisted by Capital representative players and overseen by Capital & Wellington Hockey staff. • A self-nomination process to streamline administration and communication. • The programme will consist of 2 weekly sessions (2 hours) at a centralised venue (NHS). The second round of the Round Robin (grading rounds) are finished, mixed results but our teams all have great potential. Check out the results and the Memorable Mentions below - you will see this isn't just all about the players! P3 Woman: MM goes to Nic De Haan for her awesome reverse short at goal that sent to the top right corner but just a little too wide. Looked very spectacular. P3.2 Woman: Was always going to be a tough game this week playing Naenae who have come down from P2 but another great team effort - everyone worked their butts off! Memorable Mention this week has to go to our goalie Lisa Malones .... she played out of her skin, the scoreline would have been much higher if it wasn't for her agility in the goal. Great work Lisa, and great to see the team working well together and supporting each other. R3 Woman: Our Memorable Mention for R3W is to Donna Lammie – second ever game for us and scored a goal – brilliant! We had a promising start to our 2018 Winter Hockey Season, we have round two this weekend, check out their game times below and come and cheer them on. We hope everyone is warming up after the storm. Just a reminder to the Seniors, even though we cancelled training last night - it isn't usual that just because it's raining or cold it'll be cancelled in the future. YAY both our Blackstick teams are through to the Semi Finals - make sure you watch their games tonight! Well done to all our Senior Teams who played this weekend - we are guessing there are some sore bodies after the weekend. Thanks to all those who helped tweet this weekend and took photos of our teams playing. This helps us keep everyone involved and we really appreciate the help. If you would like to help out please contact us. P3 Woman: Great first game of the season. Some great team work and use of the ball. MM goes to Ari who tore her Achilles heel in the first half. Feel your pain Ari! R3 Men:The team had a 5 – 1 win over Kapiti. Its good to see some younger legs added to the side and we used our four subs to good advantage. MM: Watching young Harrison Bealing use his 37.5 inch canon from the edge of the circle. The shot was blasted shoulder height to the keeper who blocked the shot with his hand. The ball went skyward and landed back just short of the 23 metre line. Needless to say, the Kapiti keeper sustained an injury that necessitated him taking a short time off the field to ice his hand. What a bullet! 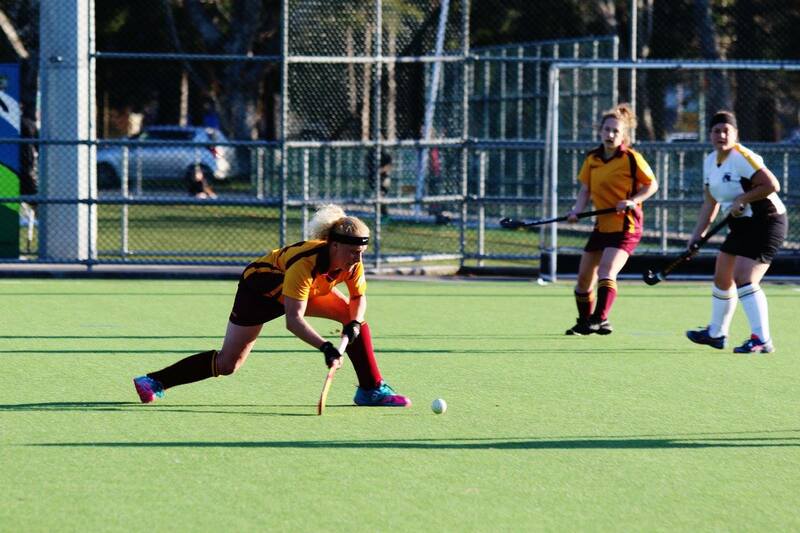 R3 Woman: Our Memorable Mention goes to Donna Lammie – first game, first time on the wing, played great – converted to hockey!!! Welcome to the 2018 Winter Hockey Season! The seniors kick off this weekend, check out their game times below and come and cheer them on. The 2018 Commonwealth games are all go today. Have a look at the article about our New Zealand hockey games - the article also includes their game times. Monday we will share the results from our games from the weekend. Thursday will be about the upcoming games and any Club Events and Important Information that we want to share with you all. The New Zealand Men’s and Women’s hockey teams are all set to get underway at the Gold Coast 2018 Commonwealth Games, which starts on Thursday. The Commonwealth Games will see more than 6,000 athletes and officials representing 71 Commonwealth nations and territories welcomed to the event cities of Gold Coast, Brisbane, Cairns and Townsville, all sharing in the celebration of sport, entertainment and culture. The Men’s and Women’s hockey competitions will be played at the newly-upgraded Gold Coast Hockey Centre in Labrador. As well as featuring some undisputed heavyweights, one of the beauties of the hockey competitions at the Commonwealth Games is the prospect of compelling match-ups between nations that rarely play each other. In the first phase of competition, the 10 teams from each gender will be divided into two pools of five nations. With only the top two finishers securing a place in the competition semi-finals, there will be a considerable amount of pressure for the teams to start their campaigns with a victory and get crucial points on the board as early as possible. With three current continental champions the women’s competition will be fiercely contested and difficult to predict. In Pool A, England (FIH Hero World Ranking: 2) will be seen as favourites to win the pool but face stern challenges from Asian continental champions India (WR:10) and African champions South Africa (WR:14) as well as Malaysia (WR:22) and Wales (WR:26) - two rapidly progressing nations. England will need to be at their best if they are to fulfil their ambition of winning a first ever Commonwealth Games gold medal after finishing runners up at the Kuala Lumpur 1998, Manchester 2002 and Glasgow 2014 events. In Manchester England’s defeat came at the hands of India, a team that will fancy their chances of medalling at Gold Coast 2018, especially on the back of their outstanding title success at last year’s Asia Cup, which was played in Kakamigahara, Japan. Star striker Rani remains a talismanic figure for the Eves and could well inspire her team to their first podium finish at a Commonwealth Games since their silver medal at the Melbourne 2006 event. Like India, South Africa are also continental champions, having claimed the Africa Cup for Nations last year in Egypt. Dirkie Chamberlain was a key player in that continental championship winning side and will once again again be one to watch. Although Malaysia and Wales sit further down the FIH Hero World Rankings, they both have enough quality to give their higher ranked opponents a serious run for their money at this event. Women’s Pool B will be equally competitive, especially with fierce Oceania rivals New Zealand (WR:4) and Australia (WR: 5) in action alongside Scotland (WR:18), Canada (WR:21) and Ghana (WR:30). The New Zealand Women are top seeded in the Pool at fourth in the world with hosts Australia one place behind. The Kiwis are spearheaded by the vastly experienced duo of captain Stacey Michelsen and Anita McLaren, who will both be competing at their third successive Commonwealth Games on the Gold Coast. Michelsen, recently named a finalist for World Player of the Year, carries immense talent and experience having amassed 248 test caps for New Zealand while McLaren (252 caps) brings genuine firepower as the women’s all-time leading goal scorer, currently just one shy of her 100th goal. Both players will be hungry to complete their set of Commonwealth Games medals having won silver at Delhi 2010 and bronze at Glasgow 2014. While the rankings gap between the Oceania giants and fellow Pool B competitors Scotland, Canada and Ghana is significant, they are certainly not teams to be taken lightly. Scotland have some real talent in their ranks such as Great Britain internationals Sarah Robertson, Amy Gibson, Nicola Cochrane and Amy Costello while Canada and Ghana both performed well in their respective continental championships last year. The Canadians were beaten to a place on the podium by USA in the Pan American Cup, while Ghana finished second behind winners South Africa in the Africa Cup for Nations. In the men’s event, Australia (WR:1) will be seen as favourites to claim a sixth successive title. Not only are they the top ranked team in the game and have the advantage of playing at home, they are also the current holders of the World Cup, Hockey World League, Oceania and Champions Trophy titles. Australia will definitely not be given an easy ride in Pool A, with New Zealand (WR:9), Canada (WR:11), South Africa (WR:15) and Scotland (WR:23) all extremely motivated by the prospect of downing the Aussies on their own turf. New Zealand, twice podium finishers in previous editions of the Commonwealth Games, will fancy their chances of medalling at this event, led by captain Arun Panchia. Shea McAleese is the most experienced player in the team having played 258 tests, in what will serve as his fourth straight Commonwealth Games. The campaign will boost the 33-year-old’s career record at major tournaments to three Olympic Games, four Commonwealth Games and three World Cups. Canada, led by experienced defender Scott Tupper are always dangerous and unpredictable while African continental champions South Africa and an improving Scotland team are also in the mix. India (WR:6), England (WR:7), Malaysia (WR:12), Pakistan (WR:13) and Wales (WR:24) all feature in Pool B which looks extremely hard to predict. As well as the always intriguing clash between rivals India and Pakistan, the latter of which is now coached by former India boss Roelant Oltmans, there is also the chance for Malaysia to gain a measure of revenge against an England team that thrashed them 7-2 in the semi-finals of the recent Sultan Azlan Shah Cup in Ipoh. As suggested by their rankings, Asian continental champions India and England, who eventually finished second behind Australia at the Azlan Shah event, should be the front-runners for the two available semi-final berths. Both sides are blessed with numerous outstanding individuals, with India captain Manpreet Singh and England attacker Barry Middleton being two of numerous world class individuals contained in their respective ranks. In recent months Malaysia have shown that on their day they are capable of beating the very best in the world, a fact proven by their impressive 2-1 victory over Olympic champions Argentina at the Azlan Shah event. 2006 Commonwealth Games silver medallists Pakistan will be boosted by the arrival of celebrated Dutchman Oltmans and could well challenge, while Wales will grab the opportunity to prove themselves against higher-ranked opponents with both hands. The hockey competitions of the Gold Coast 2018 Commonwealth Games get underway on the opening day of competition with the New Zealand Women going up against Scotland at 1:30pm (NZT) on Thursday 5th April before the New Zealand Men tackle Canada at the same time on Friday 6th April. Both New Zealand’s opening matches will be broadcast live on TVNZ’s Duke channel. Welcome to the 2018 Winter Hockey Season. The seniors kick off their season this weekend, check out their game times below and come and cheer them on. Play hard but play fair! Thank you to all the seniors who trialled for our club this year, by now you will have all received an email from our Club Captains, letting you know the team you have been selected for. Below is a list of our Senior teams for 2018. Bring it on! We have our Junior club Day on the 18th of March, scroll down for more information for this great event. There will be a free Sausage sizzle, prizes and chance to register with us for what will be a fun season! You miss 100% of the opportunities you never take! The 2018 hockey season is fast approaching, yippee! To assist with the smooth adminsitration of the junior hockey, Upper Hutt Hockey Club are looking for some passionate individuals to take on exciting roles to ensure our future little Black Sticks have a great hockey experience. These are the roles we need for our Junior Committee, click on the roles for the Role Description for more information. So this means - Register now for 2018! This is for both Senior and Junior club, we look forward to seeing you this 2018 hockey season. Welcome to Burgers and Beers - an opportunity to meet our Wellington and Capital coaches over a burger and a beer. This is an informal coach development opportunity over three Thursdays (15, 22 Feb and 1 March) at the National Hockey Stadium Pavillion from 7-8pm. To join this small, fun and informative social gathering simply click the link above and order your burger and beer and pick the coach that best fits your coaching experience and aspirations: Mini and Kiwi, Kwik, Secondary and Open Grade. These sessions are free of charge, however if you would like a burger and beer the cost is $12, a burger $8, or a beer $4. There are beef, chicken and vegetarian options. Group sizes are capped at 8-10 participants per coach. Registrations are now open for 2018 - click here to register. This is for both Senior and Junior club, we look forward to seeing you this 2018 hockey season. Reminder we are on the hunt for a coach for our second Premier 3 Womans team - please contact us if you are interested. Training and Trials start very soon for our Senior Club (1 month) please take a look at dates and times here. Keep a look out for our trial dates and times for Junior Club - coming soon. Happy New Year Everyone! We hope that everyone had a safe and fun Christmas and New Year. This is just a quick update to let everyone know that registrations for the 2018 hockey season opens on the 15th January. We are also on the hunt for a coach for our second Premier 3 Womans team - please contact us if you are interested. Check out trial and training dates and times for our Senior Club here. YAY bring on the 2018 Hockey Season.